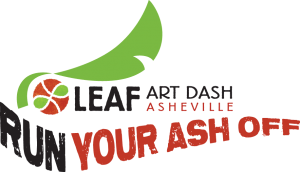 Run Your Ash Off and kick off LEAF Downtown. An individual race begins at 9 a.m. and the relay begins at 10. The run benefits LEAF Schools and Streets. At 10 a.m. a Friend and Families Relay will commence from the start line. Teams of four people will compete in a relay. At each exchange point, team members will work with volunteers from Roots + Wings School of Art and Design to create small works of art that will contribute to a larger communal project that will then be donated back to the city of Asheville.